With the holiday season almost over, it’s now time to start focusing on growing your online presence and what better way to do that than with a blog? No matter what kind of business you’re in, blogging consistently will definitely get you and your brand some exposure. Best of all, it’s free to blog and depending on if done properly, inbound blog traffic generally has the highest conversion rates out there, much better than PPC or even social media campaigns. You know what they say, first impressions are everything. Your posts’ first impression is its title – it is also what will be shared on social media so make sure it is attention grabbing and makes your audience want to click. Forget want to click, need to click. Extremely important, don’t blog just to blog. Blog to provide your audience with value they can’t, or at least aren’t getting anywhere else. If you’re providing real valuable content then the longer your post is the more value there is in it. Posts with over 1200 words also tend to be shared way more. Especially if you’re new at blogging and aren’t seen as an authority figure in your respective field yet. Adding sources and references are going to help legitimize your post as well as its quality and how reliable it is. You never know, some of these sources may even link back to you or share the post since it mentions/involves them. As mentioned above, part of the strategy behind using sources is also so they could link to your content if it truly is valuable. Getting those natural/organic links is priceless for your SEO strategy, and it may get you some direct readers as well. Don’t wait for those sources to find your blog, email or even tweet them, let them know about the post. Don’t be boring, write in a conversational/approachable tone and show off a bit of your personality. Your readers want to connect and relate to you, if they wanted to read some neutral, boring, research paper they would be searching for that on Google. Spend 20% of your time writing great content and 80% of it promoting that content, especially at the beginning where every single new reader matters. Make sure to not become annoying, promoting doesn’t mean spamming, watch out for that – it can easily backfire. 1200 words without images may not only seem boring and long, it also just isn’t appealing and doesn’t look professional. Images make the post more visually appealing as well as help break up all of the content. Another tip is try to customize the images you use in your post with some sort of branding, keep it consistent, build an image for your blog; a huge step towards becoming an authority blog in your field. I don’t mean write for the search engines, but I definitely do mean pay attention to the search engines and searches. If using WordPress make sure to have an SEO plugin installed, if you aren’t still make sure you’re properly formatting your URLs, using unique title and meta tags. Use H1 tags, alt tags and so on. Those should all include your keywords and/or the searches you’d like to come up for. Rename your images to reflect those as well. Even when writing a post make some research on Google, make sure it’s a searched topic so you’ll actually get traffic when you do rank it. SEO is a fine art, there’s ton of free content available online, learn and apply, and keep learning. Not so much of a growth hack, more of an absolute requirement/need but can be used for growth as well. Take a look at where your traffic is coming from and optimize those channels. Take a look at which of your posts are getting the most traffic/attention and use a similar recipe or expand on it (for example use similar titles or make a part 2 to a successful post your audience is engaging with). Analytics is also helpful in telling you for example that most of your readers are on mobile, then you can optimize your layout, images and so on even more for mobile. Analytics provides countless insight and it can all be used to your advantage making it the ultimate growth hack. It’s an obvious ones but the growth hack in it is to use to it’s full potential. Face it, people are lazy. I mean it’s possible they want to share your content but if you make it hard and just unpleasant, they won’t do it. Make it easy, make it fun, make it approachable. Have social media sharing icons well placed and highlight them. Not only that, but make sure that when the “sharing” popup/window opens, that it properly includes the post (images, title, description) so all they need to do is confirm it. If it comes up with a random image from somewhere else on your blog and a generic title, best believe they won’t take the time to edit it and share it. We strongly suggest testing your share button locations as well as sizes and even design. You want to keep your readers engaged with your blog for as long as possible, the longer they stay it the more chances they’ll be back. What better/easier way to do this then by pointing to content inside your blog from a post they are already reading. Keep them engaged, if you’re mentioning something previously covered on your blog then link to it! Use remarketing ads to promote new blog posts to users who enjoyed a previous post on your site. 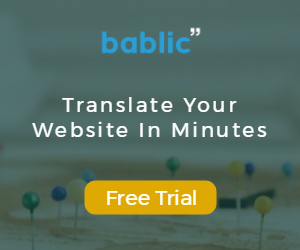 You can even dig deeper, for example retargeting can be based on URL meaning you can target only visitors who read a certain post on your blog. Pick a post with high engagement (sharing) and a high time on site (meaning people read it) and then write a part 2 to it. Make ads for that part 2 post and retarget the visitors who enjoyed part 1 (the original blog post). This should get you clicks, engagement and subscribers for an extremely low price compared to traditional advertising. Almost always overlooked but speed and performance are MAJOR players when it comes to getting readers to stay on your blog. If you have a buggy design or platform, people are almost immediately going to leave no matter how good and valuable your content is. The most important thing is making sure it loads as fast as possible and in a user-friendly, visually appealing way. Your readers need to be comfortable not annoyed. Do whatever you need to collect the emails of your visitors/subscribers. Offer a free ebook, course, a coupon for a product you’re selling, whatever value you can give them in exchange for their email, do it. And once you figured what you want to give them, start optimizing and testing the offer in order to get the best possible conversion rate. Getting a big, engaged, subscriber base is priceless – whenever you shoot out a post you have guaranteed readership and engagement to start it off properly and help go viral. There’s tons of content available online, lots of it is wrong. Lots of it is also people giving advice about topics they don’t know much, just rewriting stuff they read on other blogs, from “gurus” and experts and so on. The best and quickest way to become an authority blog/blogger is to be transparent. Meaning if you’re giving advice on what the best time of the day to tweet is, what better way to do that then to actually show your stats (screenshots) and talk about your own experience? Being transparent connects your audience to you and makes them feel like they’re involved in your journey and vice versa. There isn’t a limit to how many times you can share a post on social media, in fact the more the merrier – just make sure there’s valuable stuff being shared in between as well. Don’t share the same post 16 times over the 1st day of it being published and then forget about it for 6 months, that’s useless and annoying. Do share it 16 times during the first 2 months of it being published, nothing wrong with that. People aren’t always online at the same time, even if they are they aren’t always ready to read a post right when they saw it. You also accumulate new followers as you go so sharing old posts/articles is a great way to get new users and engagement, especially posts that originally did well. In fact, write as often as you can, as long as it doesn’t ruin the quality of your posts. If you could put together a proper blog posts at least once every 2-3 days then that’s a great start. No matter if you choose to blog once a week, once a month or once every day – be consistent. Your readers want to know what to expect. I personally get annoyed when I come across this great blog, read 3 valuable posts on my first week and then nothing for 3 weeks. Consistency is key, let your readers know what and when to expect your next piece so they can build a pattern and fit you into their routine. Join relevant communities, not to spam your blog but to provide valuable information, advice, insight and so on. The internet is a big beautiful place and depending on your niche there are definitely at least some communities where your target audience hangs and you should be a part of those as well. Some examples include GrowthHackers, Reddit, Quora, HackerNews and so on – provide good value, share stuff that really caught your attention and when you have a post you’re proud to have your name on then share it too. Reach out to blogs that complement yours and see if they’d be interested in you writing a post on their blog. The best way would be to already have a pre-made post related to something you read on their blog (that received lots of engagement) the 1st time you approach them. Some bloggers don’t have the time or patience to go back and forth but if you send them the post right away with a friendly note then they might just bite. And if they don’t, then email other similar blogs! 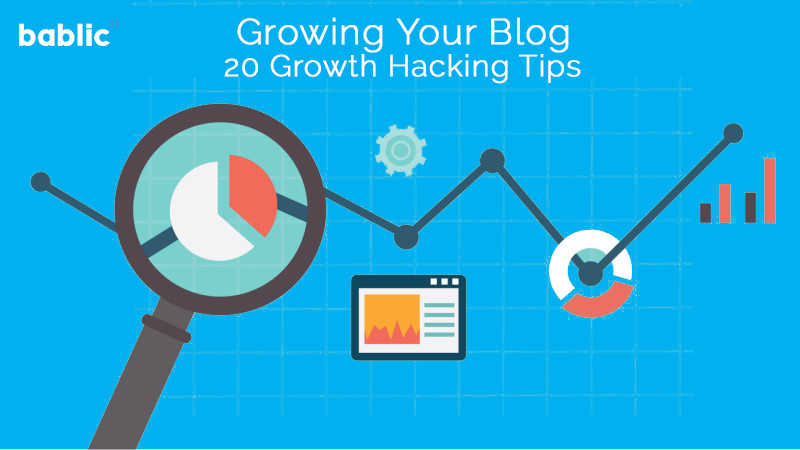 These 20 growth hacks are definitely going to help grow your blog if you actually do them consistently. It takes time, dedication and hard work but it will pay off! Let us know in the comments if we missed any, and especially how are you growing your blog? Keep in mind, these blogging tips apply to personal as well as company blogs, put them to good use! Excellent Article. All your tips are excellent. I wasn’t sure if you suggested spending money to “remarket.” I wouldn’t, but that is me. Otherwise, valuable advice especially for newer bloggers. I’m seeing the 80-20 “rule” more often lately. Promoting is indeed a really important point, because with all the content that is being created constantly, it is hard to stand out if you don’t hustle. There also services out there that help you amplify your efforts. The best one is Boost.re. Thanks for sharing these hacks! Not sure if you guys have heard about Boost.re (https://boost.re). I have used this platform for a while and I think it’s actually quite useful to promote my blog. One of the most impactful ways you can encourage massive growth in blog traffic is by taking advantage of other people’s audiences. This is done through influencer marketing — or collaborating with powerful individuals in your niche to spread the word about your content. Content that influencers share gets 16 times more engagement than content directly from a brand. Thanks again!